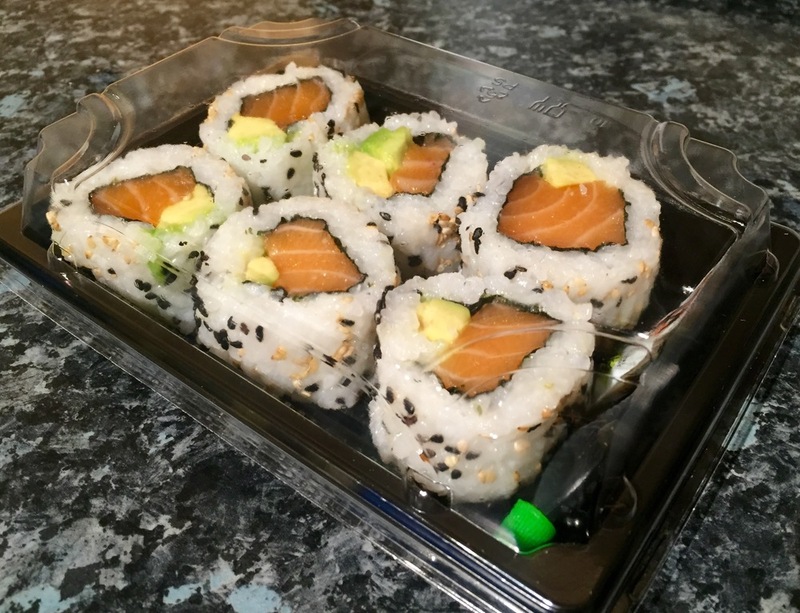 We deliver our freshly made sushi to homes and workplaces in East Lothian six days a week, Monday - Saturday!. Order anytime between 10am - 4pm for all on the day orders or feel free to pop any advanced orders in - deliveries can be made as late as you like! Due to an increase in demand we now require on the day sushi orders to be in by 4pm so we have the time to make your sushi and deliver it as soon as possible! Order below and let us know if a specific delivery time is required and we will prepare and deliver your sushi as soon as possible! Please note there is a £20 minimum order and a £3.50 delivery charge for all East Lothian orders. Contains a mix of fish inside out rolls and maki rolls. 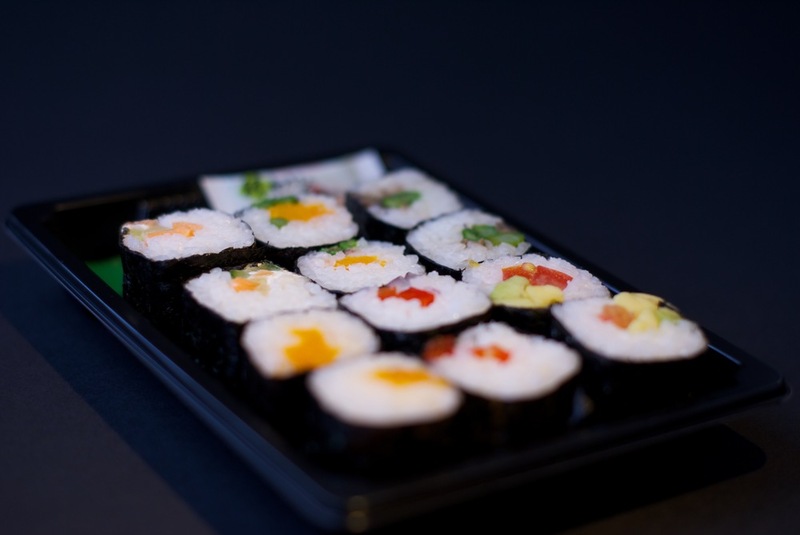 Contains a mix of fish nigiri, fish maki and fish inside out rolls. Contains a mix of fish & veg maki and inside out rolls and smoked salmon nigiri. A mix of veg & fish maki, and veg inside out rolls. Contains a mix of fish & veg inside out rolls and salmon maki. Includes 40 pieces of fish maki. Includes a mix of 40 vegetarian maki. California Rolls are inside out rolls filled with seafood sticks, avocado, cucumber and japanese mayo. These inside out rolls are lined with sriracha hot sauce. We are open Monday - Sunday! Just make sure your orders are in before 6pm to receive your sushi on the day of order. Please note for all Minato Sushi East Lothian orders there is a £2 delivery charge and is currently cash on delivery. Tuna, avocado, salmon, cucumber and Japanese mayo. 3 x caterpillar rolls, a mix of fish maki, salmon avocado roll and a tuna cucumber roll. Contains a mix of 5 veg rolls plus veg maki. Contains a mix of prawn, tuna, salmon and California rolls plus salmon nigiri. Fried tofu pockets filled with rice and veg! Tofu marinated in teriyaki, fried in breadcrumbs, lined with teriyaki sauce and romaine lettuce and pressed with avocado. A mix of caterpillar and tuna/salmon rolls, katsu and steak rolls, futomaki and salmon nigiri. Tuna & avocado roll topped with slices of salmon and sesame seeds. Real crab meat, avocado and cucumber lined with spicy mayo. Contains a mix of fish maki and inside out rolls. Includes a mix of maki rolls & inside out rolls filled with box fish and vegetarian options. Includes 30 pieces of mixed vegetarian maki - perfect for sharing! Includes 30 pieces of mixed fish maki - perfect for sharing!